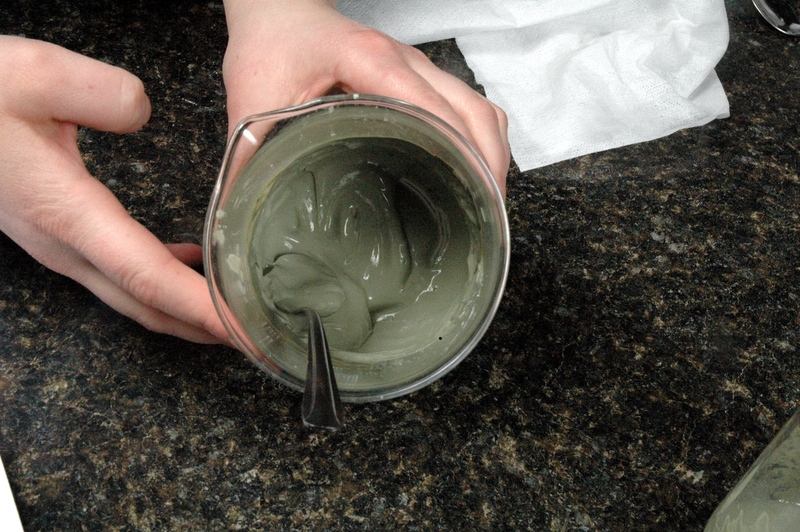 Yesterday we made a clay face mask with oils, but if you have extremely oily skin, that mask won’t work well for you. 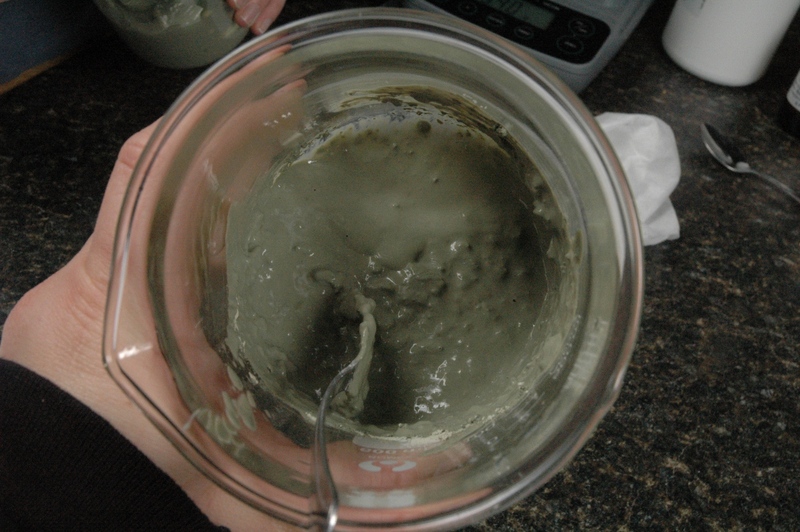 Today I’m going to show you a clay face mask without oils. This mask is definitely more fluid than yesterday’s mask, easier to apply and cool on the skin. Now come back to check and stir your mixture. There aren’t many lumps or bubbles as there were before. Clay needs time to absorb all of the water. 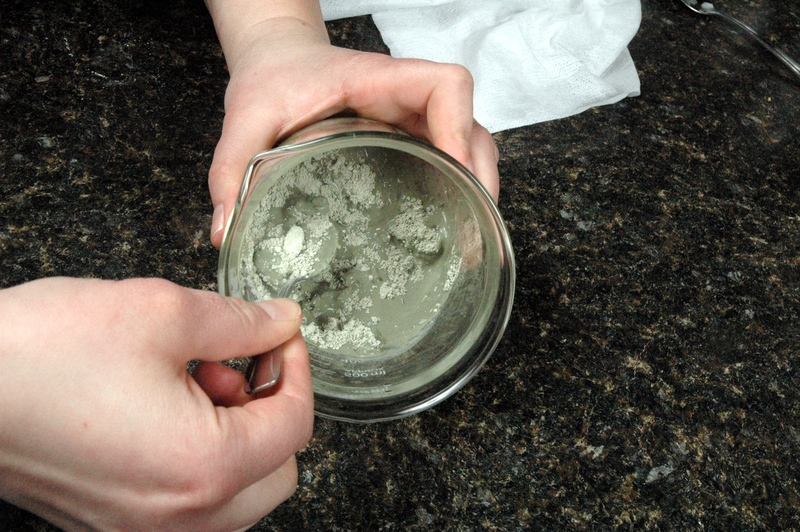 Just ask any good mud pie maker about giving clay the necessary time to absorb water. 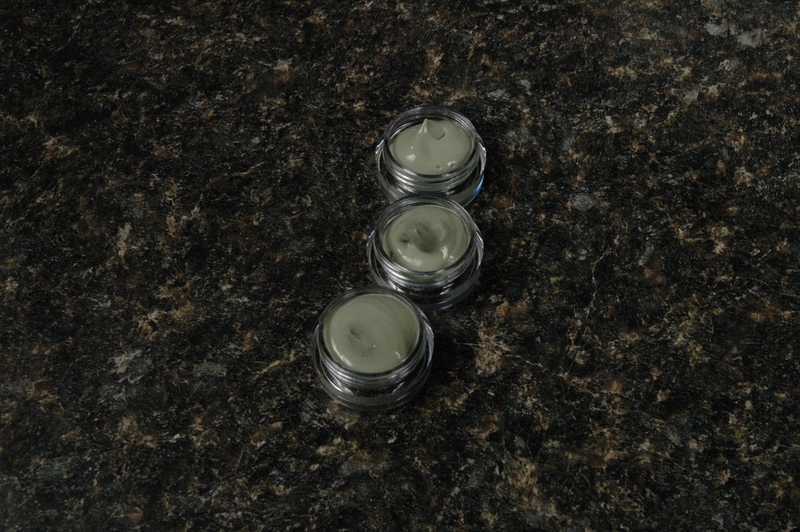 The mask is smooth and ready to put in jars. Wait a minute! Yesterday I forgot to share how to fill the jars. Simply fill a disposable plastic pastry bag or a zipper-style storage bag with the mixture. Cut off the end of the bag and squeeze the bag to fill the containers. Warning, this method will need strong hands. You can use a rubber scraper on the outside of the bag to scape everything last bit out. You can use various essential oils or hydrosols for different users. For example, you can make a mask with Tea Tree Essential Oil and Peppermint Hydrosol for acne prone skin and you could also make a mask with Bulgarian Lavender Essential Oil and Rose Hydrosol for mature skin. You can make any blend you can think of. 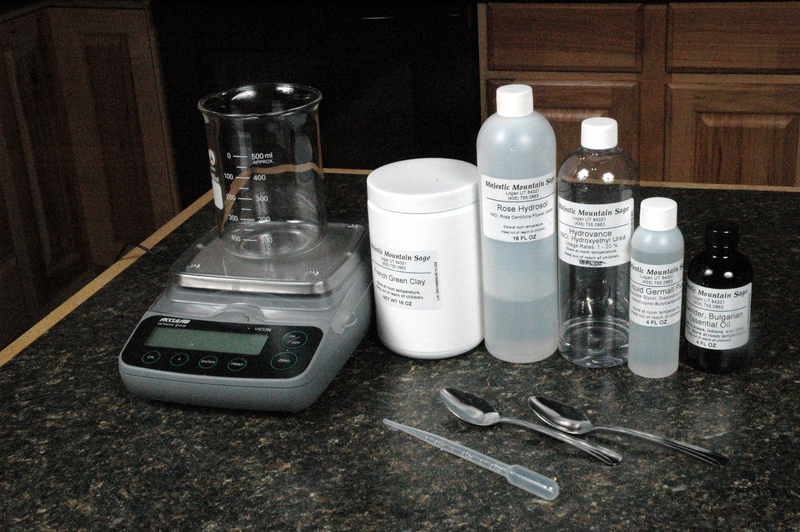 If you don’t want to use a hydrosol, then you can simply replace the hydrosol with water. 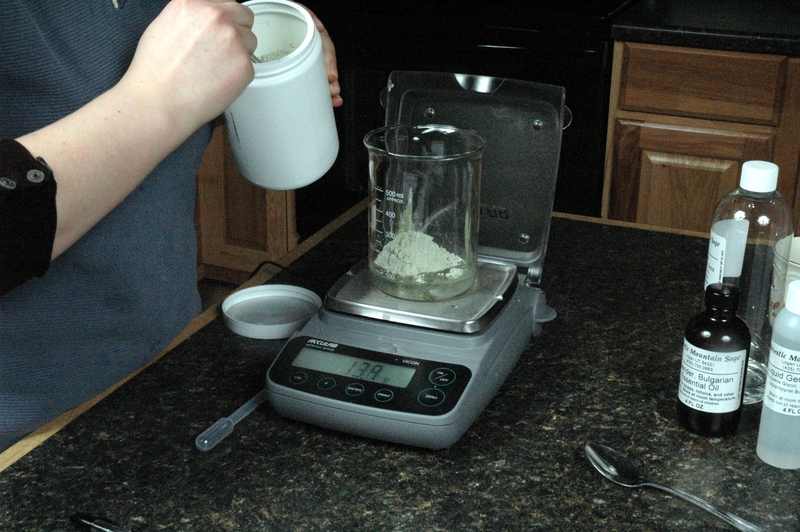 Add French Green Clay to liquids. 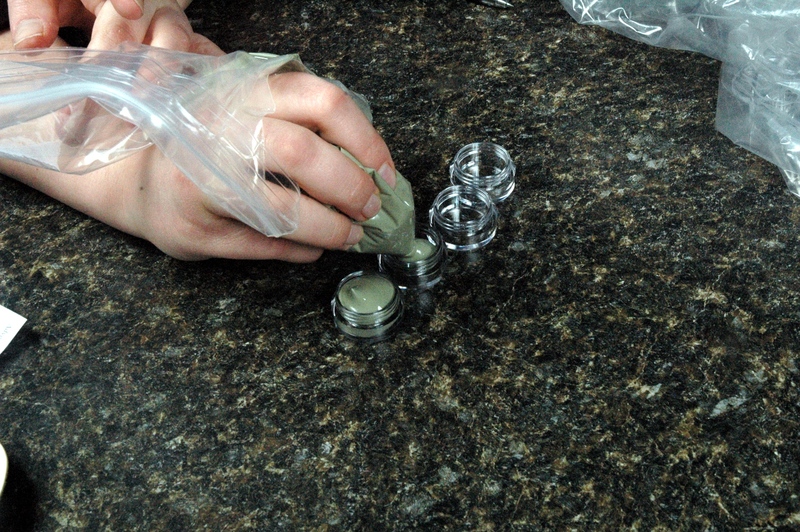 Filling the containers with face mask. This is a really dumb question but, how do you actually use the mask? This is not a dumb question. I like to think of the process as a four step process. 1) Rinse face with warm water. 2) Rub a thin layer of mask onto your face. 3) Allow mask to dry on your face. 4) Once the mask is dry, wash face with a warm wash rag. Face masks are great for helping remove dirt and oils from the skin. You can make a mask that is directed at different types of skin. For example, a mask with Tea Tree Essential Oil is great for teens and others that have skin prone to acne, while the same face mask won’t do wonders for mature skin. I’d use Rose Hydrosol for mature skin. I think I’ll copy those directions on my mask containers verbatim. If that’s ok? The percentages for this recipe are as follows. I have made this using Thayers Rose Witch hazel instead of hydrosol and it’s delightful! Thank you for suggesting the preservative…so many folks forget.